An enduring classic popular for hundreds of years, our range of fresh hydrangeas will leave you in no doubt of why they are the nation’s favourite. Brought to you by our experienced team of international florists and delivered London and UK wide, you will never be left in need again. Hydrangeas are one of the most spectacular and easily recognisable flowers we stock, with their large heads and bright, extended petals they are instantly recognisable in white, green, blue and purple. Perfectly at home in bunches by themselves, hydrangeas can equally be used to form the base in bouquets and larger arrangements. While white hydrangeas are ideally suited to weddings and table decorations, the luxurious, deep purple is the polar opposite, splashing colour and invigorating all around it. Universally adored, a hydrangea bouquet is bound to make an impression on a loved one or colleague, though they are rightly loved by gardeners for their hardiness and durability. A sweeping blue or green dome, the tactile hydrangea bouquet is an uncompromising spectacle while combined with anthurium and chrysanthemum the spectacle is only enhanced. 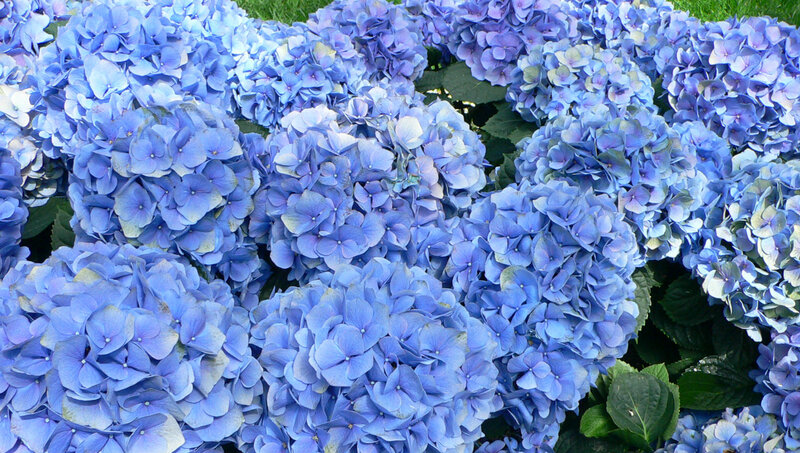 We have a good stock of hydrangeas throughout the year and a large, fresh variety to choose from daily. So whether it is a bunch of brilliant white hydrangeas for Mothering Sunday, giant purple heads as part of a heart stopping bouquet or delicate green playing off against the bolder colours of calla lilies and carnations, we have it all at Flower Station just a click away. We have several delivery options available to make sure every eventuality is covered and you receive the flowers you want, at a time that is convenient. Therefore, order by 6pm for London deliveries and receive your flowers the very same day, proving that the motto, It Is Never Too Late certainly applies to us. We also offer premium services for AM morning deliveries before midday and a special 3 hour delivery service for the London area. For Nationwide delivery we have a Next Day service that allows you to send to friends, relatives or colleagues further afield. Our online catalogue is extensive constantly evolving, providing new and exciting options on a regular basis. And as a 24 hour, 7 seven day specialist, whatever your flower needs, we will find the right option for you. Our experienced florists are always on hand to help choose and craft hand-tied bouquets personalised to suit every taste. Q. Are the flowers/bouquets in water when they are delivered? A. Yes, we use water and water-releasing aqua balls to keep the flowers hydrated on the journey, ensuring they reach all our customers fresh and vitalised ready to impress. Q. Can I provide a message to be delivered with my flowers? A. Yes, we hand-write all our messages so whatever the occasion, you can make sure your flowers are sent with the message you want. Ordered 6 white hydrangeas for myself as they are my favourite flower, were delivered on time later that day and I was very pleased with them. Great big heads and lovely, open petals. I could not be happier. Needed flowers in a hurry and you guys got the bouquet there on time the very same day. Very grateful, professional service, recommend. Bought as a present for my elderly mother. She was delighted with colours and composition. Have not used online florists before but would certainly use Flower Station again.